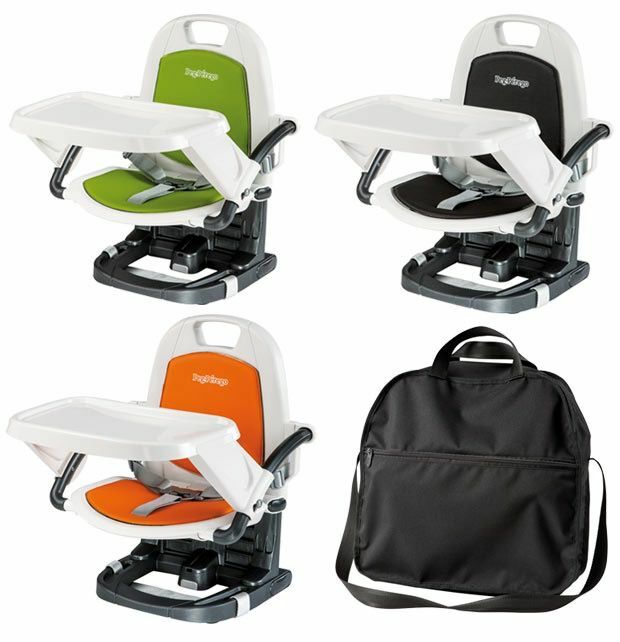 The Rialto is an innovative new booster seat designed to accompany the on-the-go family anywhere. 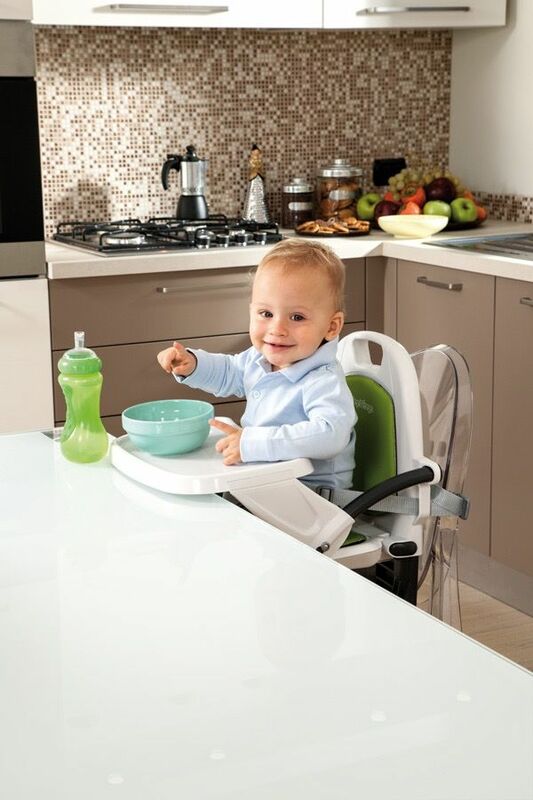 With its compact fold, the Rialto is easily stored in the included carrying bag and offers a great alternative to the typical restaurant high chair. 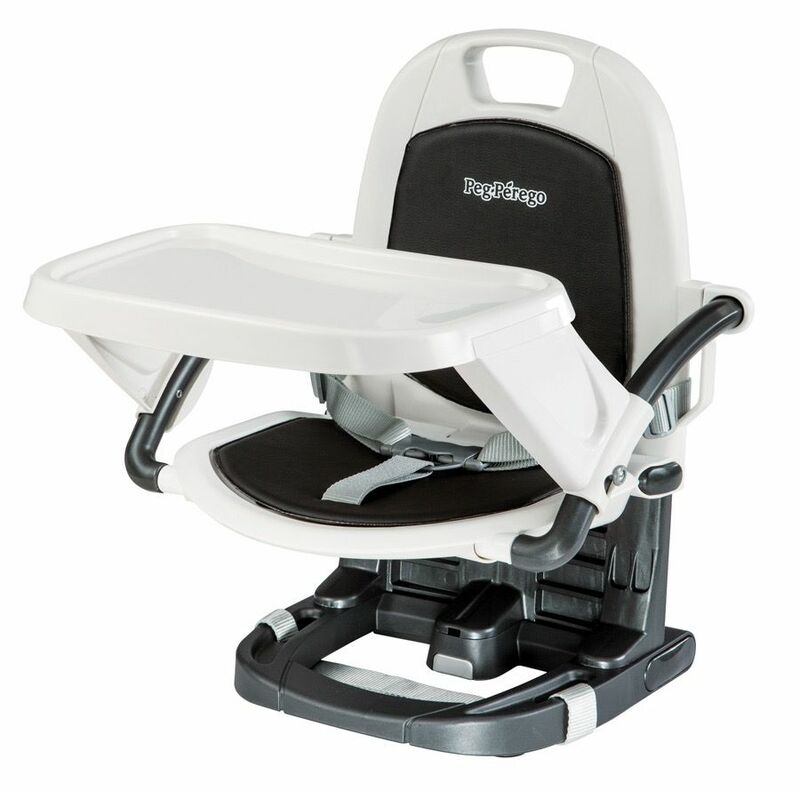 The booster chair weighs just over 6 pounds, allowing it to be transported with ease. Seat adjusts to 5 different height positions. The Rialto’s unique and ergonomic design gives it a modern look, while allowing it to fold easily and compactly. 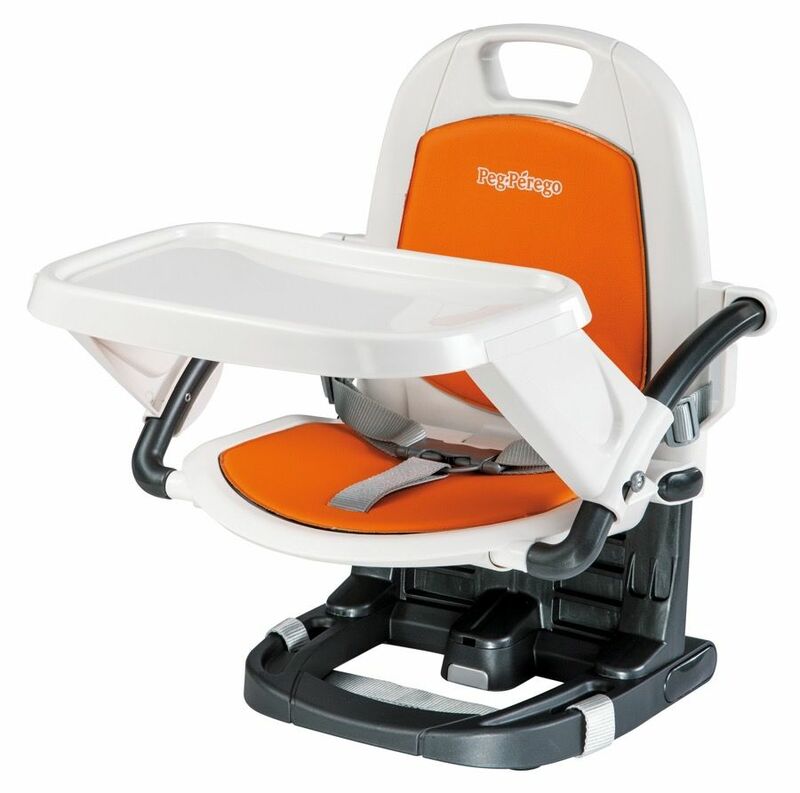 It comes with a dishwasher-safe folding tray that can be easily removed. 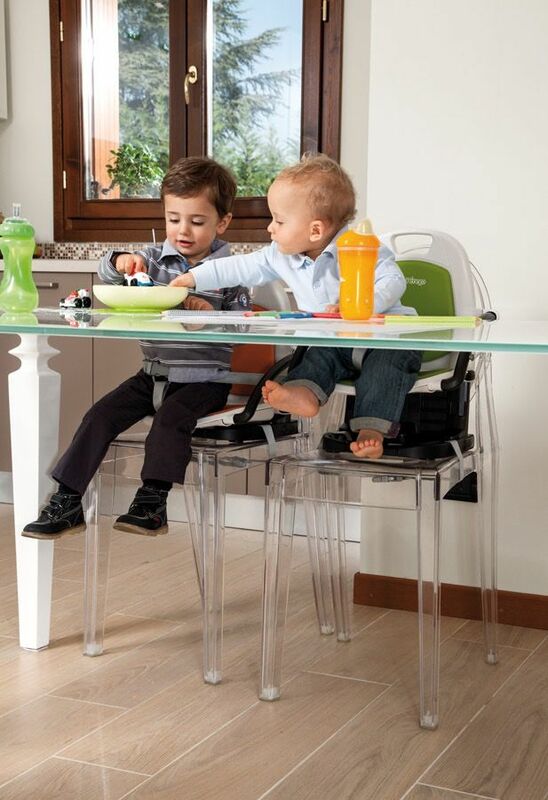 The booster chair is outfitted in Prima Classe material that is easy to clean and comes in three unique gender-neutral colours that are the perfect complement to any kitchen. 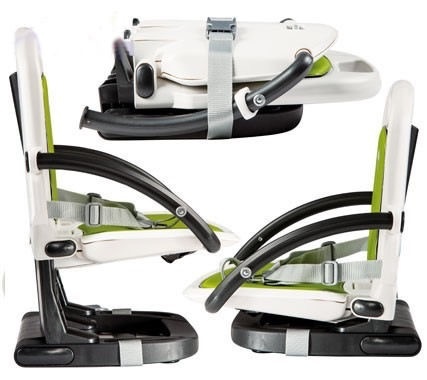 Compact fold: seat back and base fold easily to create a compact fold. 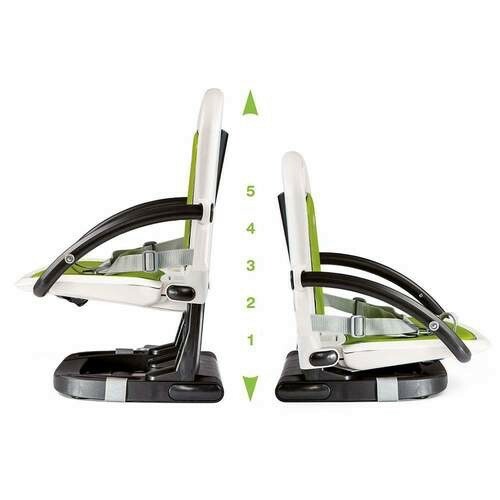 Adjustable Height: Can be adjusted to 5 different height positions. 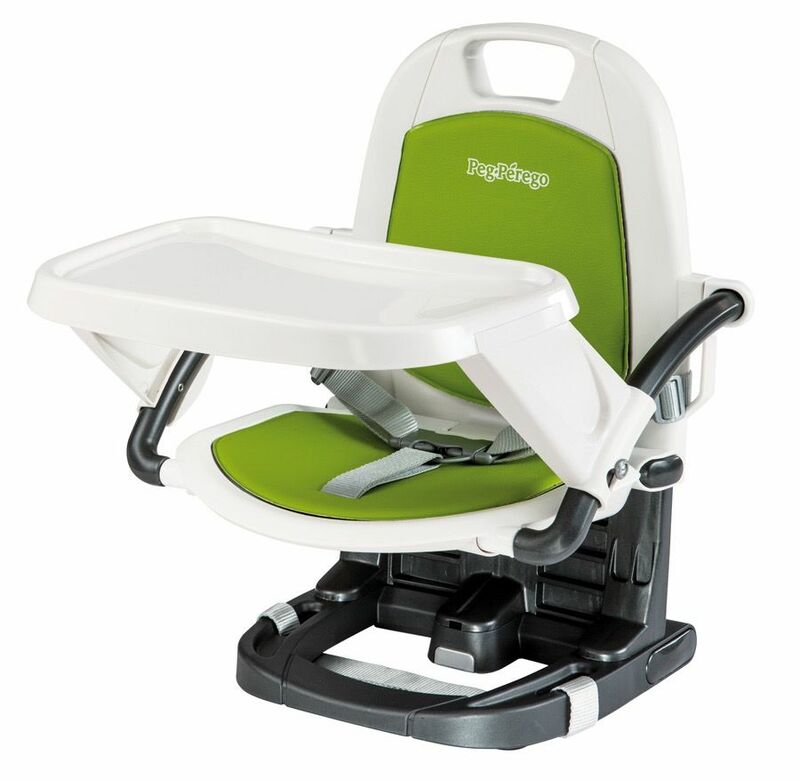 Security: Non-skid rubber pads keep booster chair in place. Easy to Clean: Durable upholstery can easily be removed and wiped clean with a damp cloth. 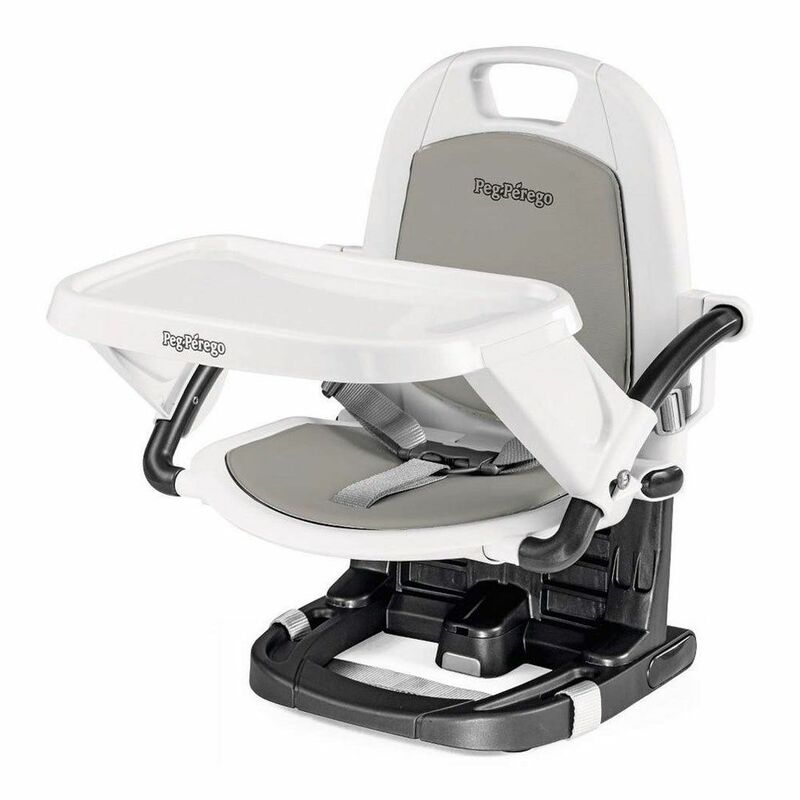 Includes a removable dishwasher-safe folding tray. Prima Classe Upholstery: Beautiful, buttery-soft upholstery is comfortable and easy to clean. 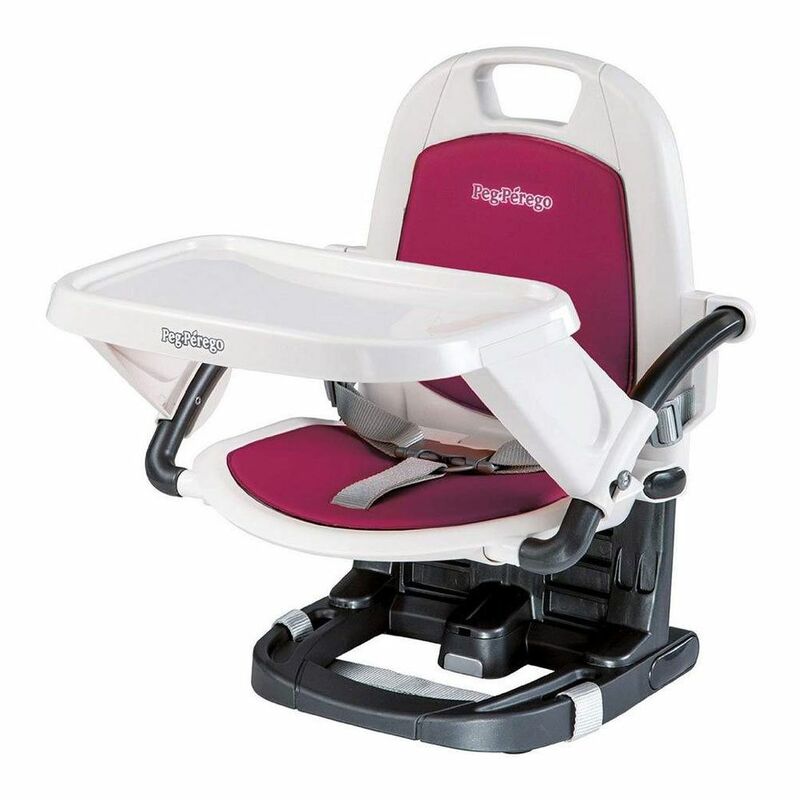 Lightweight booster chair weighs just over six pounds, but is sturdy enough to hold up to 45 pounds in lowest height position.